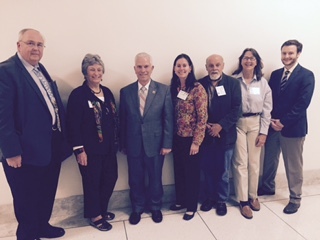 Steve Goodwin joined a team of Ohio and national land trust representatives in Washington D.C. for the Land Trust Alliance’s Advocacy Day. 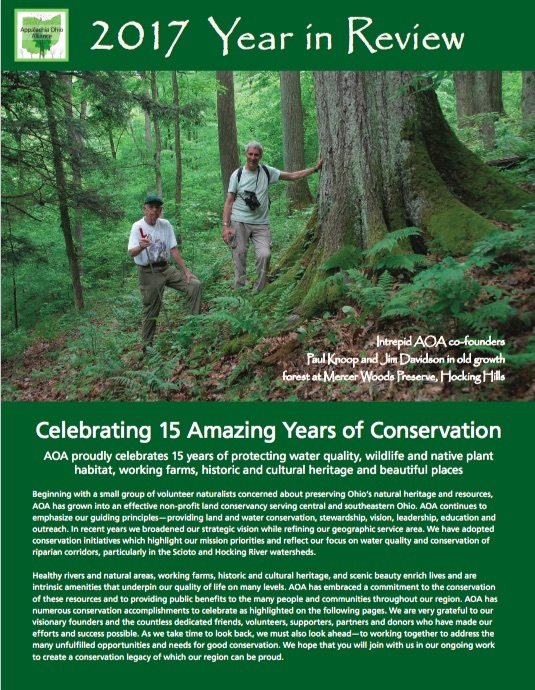 They were able to meet with numerous members and staff of the Ohio U.S. Senate and Congressional delegations to advocate for a number of conservation issues including the enhanced conservation easement incentive. In mid April AOA’s Steve Goodwin along with Krista Magaw, Executive Director, Tecumseh Land Trust, Jon Branstator, board member of the Clinton Open Lands Conservancy, Kathy Leavenworth, board trustee, Western Reserve Land Conservancy and Joy Mulinex, government relations director, Western Reserve Land Conservancy participated in the Land Trust Alliance’s 2015 Advocacy Day. A training program preceded the conservation Advocacy Day meetings with members and staff of the Ohio U.S. Congressional and Senate delegations. 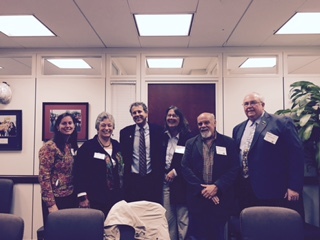 After one day of issue briefings and meetings, the Ohio land trust team met with Senator Sherrod Brown and Steve Kittridge of Senator Rob Portman’s office as well as Representative Bill Johnson of Ohio’s 6th congressional district and the lead environmental staff members of nine other Ohio congressional delegation members. The Ohio team focused on four key priority legislative initiatives that are important to land conservation – making the enhanced conservation easement tax incentive permanent, the importance of the Agricultural Conservation Easement Program (ACEP) to farmland conservation, reauthorization of the Land and Water Conservation Fund (LWCF), and funding for the Forest Legacy Program. A new provision in the Forest Legacy Program legislation would allow land trusts to hold easements funded through the program. The U.S. House of Representatives overwhelmingly passed bipartisan legislation in February 2015 that would make the enhanced conservation easement incentive permanent. The bill was then sent to the Senate of approval. Permanent passage of the enhanced easement incentives would allow land trusts to better plan for conservation easement donations and allow taxpayers to more fully benefit from their conservation easement donations. Thanks to Senators Brown and Portman and Congressman Johnson and the staff members of the Ohio congressional delegations who took the time to meet with the Ohio land trust team during Advocacy Day. The Ohio team is also grateful to Senator Rob Portman for subsequently signing on as a co-sponsor of the Conservation Easement Incentive Act (S. 330), the Senate bill that will make the conservation easement tax incentive permanent.